flowery fields, and much more in Mario's latest adventure. November 2017 was a quiet month here at SuperPhillip Central with limited posts in lieu of a much-needed break. Hence, I have just two games featured in the Review Round-Up for November 2017. I generally combine two months of reviews if I have less than five reviews to report, but when you have a Game of the Year contender for the past month, you make exceptions. While not the GotY contender I was alluding to, Rogue Trooper Redux from Rebellion was a compelling Wii era third-person shooter reborn on the Nintendo Switch. It got an average C grade. 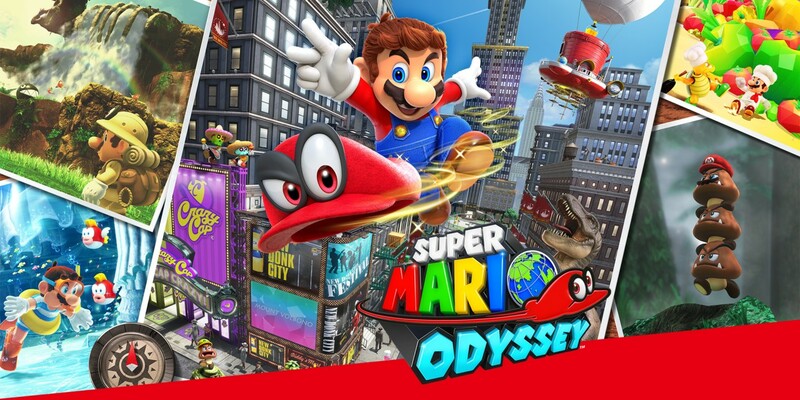 Finally, the game that will be fighting lots of games at SuperPhillip Central's Best of 2017 Awards beginning late this month, Super Mario Odyssey, greatly impressed with a masterful performance and an A grade. No worries about a drought of reviews for December, as I have plenty of games lined up to cover review-wise. It takes time to play through these things when SPC is but a hobby! I hope you'll look forward to see what I cook up and dish out for this last month of 2017! Game of the Year contender on SuperPhillip Central! Well, I'm making a VGM list (to make a modest correction), and I think I've checked it waaaaay more than just twice! Nevertheless, it's the first edition of SuperPhillip Central's Favorite VGMs of December, meaning the holiday preparations are underway! Hang up the mistletoe, decorate the tree with lights and ornaments, and start listening to some Christmas music to get yourself in the mood! Actually, instead of Christmas music (which you have the whole month to get around to and enjoy), how about some good, old video game music? That's what I'm stuffing in my readers' stockings this December all month long with SuperPhillip Central's Favorite VGMs. This first full work week of December sees us traveling to a quaint animal-filled village with Animal Crossing: Wild World. From there, the pace quickens and the action heats up with music from Fire Emblem Echoes: Shadows of Valentia and a related game, Tokyo Mirage Sessions #FE. The only good thing that war is good for is that it brought us Battalion Wars 2, which has a song featured this week. Finally, we get cool and relaxed with a jam from Yoshi's Story. For all past VGM volumes on SuperPhillip Central's Favorite VGMs' past editions, check out the VGM Database with this link. Now, let's get on to the music! Ah, just in time for the relatively recent release of Animal Crossing: Pocket Camp! Animal Crossing: Wild World came out around the time I first got seriously involved in online gaming. Even such a limited (even for the time) online infrastructure would amaze someone like me who hadn't any experience playing a video game online. Wild World holds a special nostalgic place in my gaming heart, as I played with online folks I had never met, yet we enjoyed the company of one another in our online towns. The music of the Animal Crossing series also brings many memories coming back, and certainly tugs on my nostalgia greatly. My first actual Fire Emblem game I've played through and beaten was the Nintendo 3DS's Fire Emblem: Awakening, which I imagine was a starting point for many other players outside of those who jumped in with the Game Boy Advance Fire Emblem games. When I heard this theme within this past spring's Fire Emblem Echoes: Shadows of Valentia, it sounded the memory bells. I knew this song. I heard it originally in Super Smash Bros. Brawl. Hearing it remixed in an actual Fire Emblem game, and in the remake of the original Fire Emblem game it appeared in, was so satisfying to me as a listener. There are a handful of Wii U games that need to make the jump over to the Nintendo Switch. There are obvious ones, but Tokyo Mirage Sessions #FE was a late Wii U offering that released when the system was on its way out and most of the gaming world had its sights on the Switch. For those who gave this JRPG a try, however, they experienced a rewarding game that they would probably recommend to others. Unfortunately, the game's currently stuck on the Wii U. Perhaps a Switch port would give it a bigger audience? HINT! HINT! Related to the Advance Wars series here in the West (and in Japan, even earlier than that with the Famicom Wars line of games), the Battalion Wars series forgoes the strategy RPG aspects of the Wars series for standard real time war gameplay, whether players assume the role of an infantryman, enter a vehicle like a tank, plane, or battleship. Battalion Wars 2 features similar gameplay to the GameCube original and expands on the types of missions included for an overall grander campaign. The symphonic score such as this piece played during the "Scorched Earth" mission highlights the exciting action on battlefields both big and small. Yoshi's Story's soundtrack features a lot of tunes that use the same melody to greater and lesser extents. 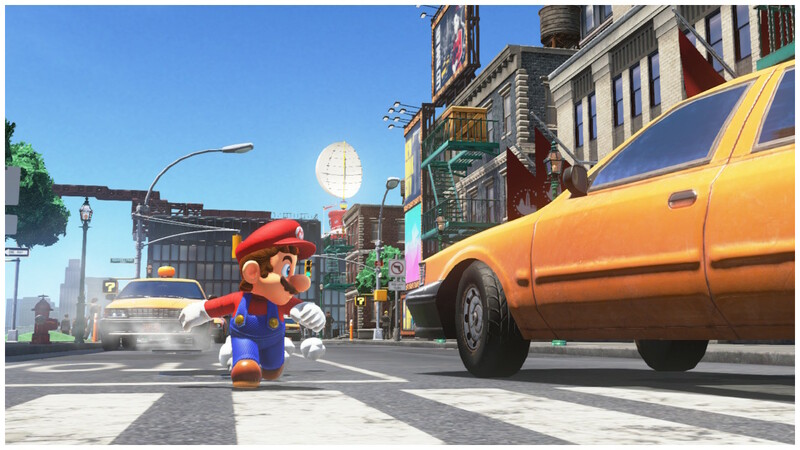 This time around, the theme appears in limited quantities while the main star of the show is the "Yo-Yo-Yoshi" vocals popping up in this heavily funky tune. Yo-Yo-Yoshi is generally played in Yoshi's Story's cavern levels as Yoshi explores labyrinthine mazes searching for fruit to gobble up, preferably melons. After a seven-year wait after the release of Mega Man 10, Capcom is bringing back the mainline Mega Man series with a brand-new entry that is set to be a revival of the franchise. It's the glorious 2.5-D take on the series with Mega Man 11. With about a year left before its late 2018 release, we're sure to hear more about this game as summer comes (perhaps a full E3 2018 blowout?). For now, check out this exciting debut trailer for the game.